Rated No. 1 SEO Company in South Florida. @ Digital Era - Adapt or Die! SEO FLA will be adding to their list of marketing services offered for small businesses in 2018. The company, which already focuses on search engine optimization and pay per click through Google (PPC & SEM), will now be adding web design, email marketing, display ads and social media advertising to accommodate the needs and demand in the industry. “Our clients believe in us as people. Many of the clients we have came with one of our team members from other businesses because they trust us as individuals and know we will do whatever it takes to give them elite service. 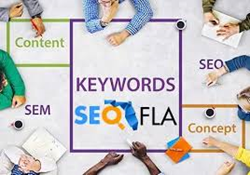 That’s why, when we saw a need among our clients, we went to work on finding the best way to expand our resources and services while also keeping the price very cost-effective for our clients.” Dennis John, Head Of Digital Marketing For SEO FLA. The email marketing option will include use of a database with over 280 permission based emails with targeting selects including; age, location, gender, interests, political affiliation, marital status, home ownership, income and more. The display ads network will allow for client ads to be run on major media sites all around the world. Social media will include management and ad creation for accounts on Facebook, Instagram, LinkedIn and Twitter. Snapchat and Tumblr will not be added to the list immediately and only specific options with Pinterest are available. SEO FLA is based in Boca Raton, FL and specializes in search engine optimization. The company has worked with larger agencies around the country, providing fulfillment as well as taking on clients directly for digital marketing.